Craft brewers all across the country are pushing the envelope when it comes to creativity, brewing up libations in as many colors, styles and flavors as you can imagine. So it’s only fitting that they’ve given many of their creations some eyebrow-raising monikers. Sometimes a beer’s name has a story to tell that’s as interesting as the beverage itself. Here are a few of our favorites. 1. Duck Duck Gooze from The Lost Abbey: Gueuze is a dry, tart, sour ale brewed with spontaneously fermenting wild yeast. Don’t let the allusion to the children’s game fool you, though: This Great American Beer Festival Gold Medal winner is all grown up. No ducks were harmed in the brewing of this beer. 2. Collaboration not Litigation from Avery Brewing and Russian River Brewing: In the mid-'90s, both of these breweries had Belgian-style beers named Salvation in their portfolios. Rather than bickering over the naming rights, they teamed up and blended the two to create Collaboration not Litigation. 4. Tart of Darkness from The Bruery: Kurtz might have met a happier fate in the Congo if Marlow had brought with him a case of this tart, dark, sour ale. 5. Sexual Chocolate from Foothills Brewing: This beer makes the list due to its extreme popularity among fans of imperial stouts. Head brewer Jamie Bartholomaus concocted the original batch as a homebrewing college student one Valentine’s Day, then named it after the band in Eddie Murphy’s Coming to America. 6. 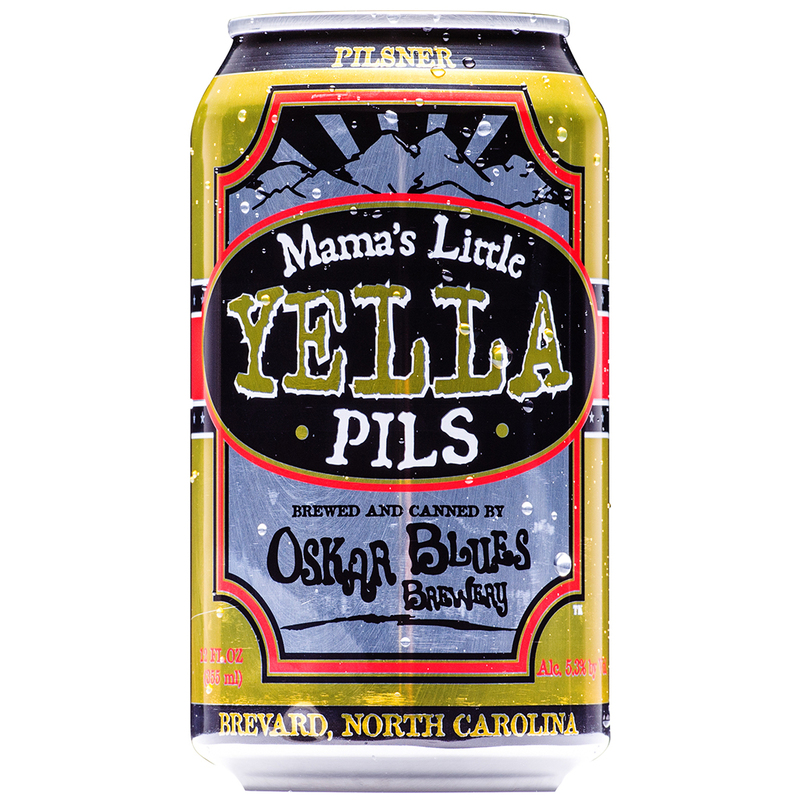 Mama’s Little Yella Pils from Oskar Blues: This Czech-style pilsner’s name is likely a reference to lyrics from the Rolling Stones tune "Mother’s Little Helper." Either that, or it’s claiming to be a replacement for her daily multivitamin. 7. Moose Drool from Big Sky Brewing: The story has it that this beer got its name as the brewery’s owners reflected on a moose drinking from a lake. This malty, balanced brown ale is good enough to make any creature drool. 8. George Brett Triple from Drake's Brewing: The name of this Belgian-style tripel is a nod of the batting helmet to baseball Hall of Famer George Brett, a multi-base slugger who on more than one occasion led the league in—you guessed it—triples. This beer connects for a double pun, as it utilizes the wild Brettanomyces yeast strain commonly called Brett. 9. FU Brett Favre from Surly Brewing: While we’re on the topic of Brett beer puns, this retired beer gets mention for its sense of humor. Named after the former Packers quarterback who regularly gave Surly’s hometown Minnesota Vikings fits, this wild ale was renamed Brett Favre MVP in 2009 when he signed with the Vikings.